Tickets are already flying and thereʼs no surprise why as one of Red Rocks favorites returns to the stage this summer! 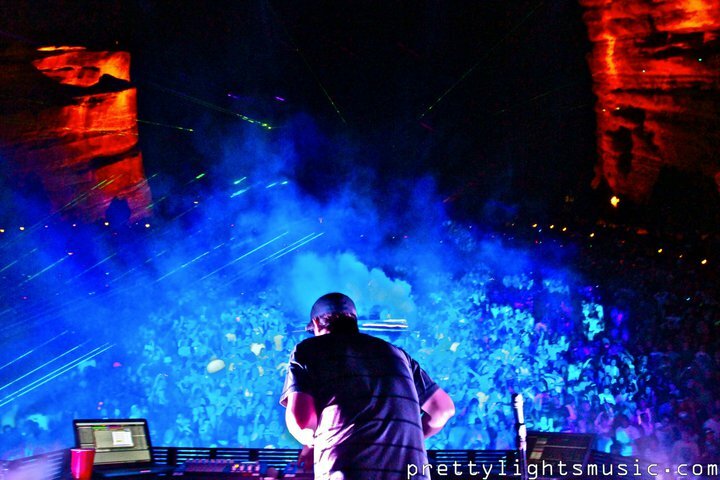 The feel good DJ Pretty Lights has just announced his live performance at Red Rocks Amphitheater! The perfect Friday night out on 10th August 2018 – come and soak up the summer vibes & dance til dawn! Tickets on sale right here, available to book today! No service fee or shipping charge for Pretty Lights tickets when you order via this website. The man behind the artist Pretty Lights, is Derek Vincent Smith. His musical passion came at a young age, while attending high school, Smith wrote and produced his own hip hop music! Derek Vincent Smith and Michal Menert began working in Pretty Lights in the summer of 2004 and just three years later, Pretty Lights began playing late night shows supporting big names, including; STS9, The Disco Biscuits, and Widespread Panic! Like a flash of lightening, Pretty Lights career has rocketed into major stardom, he began playing at major American music festivals – Bonnaroo, Coachella, Wakarusa, the Electric Daisy Carnival, Camp Bisco, and the 10KLF. Following his incredible year of festivals, came a multi-city tour of the United States. Since then his music has spread globally! Pretty Lights main niche is digital sampling, crossed with smooth soul samples, glitchy hip hop beats and pumping synth lines. You can help but get down to the funky sound!